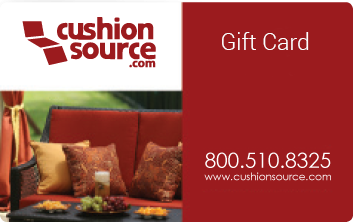 Give the gift of custom and allow your family and friends to design their own custom cushions, pillows, drapes, and more to fit their style! You may purchase as many gift cards as you'd like, however only one (1) gift card code may be redeemed per order. Gift card purchases are non-refundable. For alternative gift card amounts, please contact our customer service department.